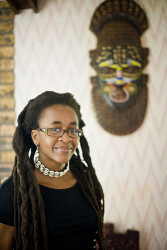 A highly regarded science fiction/fantasy writer, Nnedi Okorafor will read from her most recent collection of short stories, Kabu Kabu, and her novel Who Fears Death for which she won the Wole Soyinka Prize for Literature. Join us to hear the work of this wonderful thinker and writer. Dr. Okorafor holds an MA in journalism from Michigan State University and a MA and PhD in English from the University of Illinois-Chicago. She is also a graduate of the Clarion Science Fiction and Fantasy Writers’ Workshop. The school-to-prison pipeline overwhelmingly affects poor black and Latino youth with disabilities. Instead of an appropriate education, they face zero tolerance policies that result in suspensions and expulsions that ultimately jettison them from school. Black students with disabilities are three times more likely to be suspended than white students with disabilities. The current arrangement is expensive. 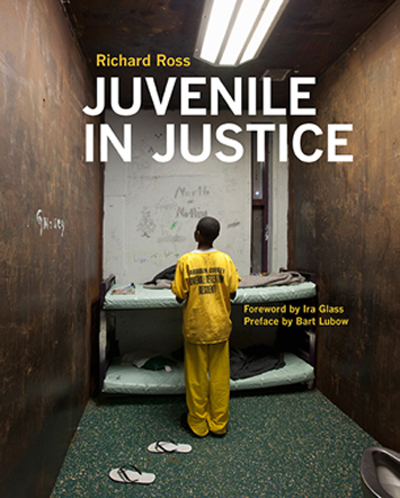 The average daily cost for educating a youth in Chicago Public School is $74.21, while we pay $501.93 per day for youth in the Cook County Juvenile Temporary Detention Center. The economic choice is clear, we need to get these kids the services they need to learn, grow and become productive adults with hope. And, from the perspective that youth are our future and every human life matters, we have an obligation to give all youth a chance in life. Over the past year the Mansfield Institute for Social Justice and Transformation at Roosevelt University launched a new program in the Juvenile Court building that provides advocacy for youth with disabilities. Through the program, probation officers in Diversion refer youth with disabilities to advocates who work to ensure youth get the services they need in school (and other areas of life). The goal is to help the youth successfully complete their education and not recidivate. If we can help the youth successfully complete their education we will save taxpayers money, and give children a chance in the world. Darrell surely faces many obstacles and his story is still unfolding, but we know that without education and without addressing his disabilities, we will likely see him going deeper into the juvenile justice system. Together with the Family Resource Center on Disabilities and his grandmother, Darrell may now be able to get the services he needs in order to access his education. It was a cold wintry night but a little hot tea and coffee and great conversation warmed us up for a wonderful evening with AREA Chicago and the question of “Writing Children.” Presenters from three different projects shared the challenges they found in recording the voices of children – their thoughts, their feelings, their opinions, their responses to what’s happening around them and to them. Barriers like not actively listening, judging what they say or adult control all played a factor in children not being accurately portrayed. The children were always honest when given the chance to express themselves and most readily responded to adults they had some rapport with and trusted. So the real key is how adults will choose to make room for these authentic independent voices. AREA Chicago will host other presentations this year for their Issue #14 Kids! Check their website for more info – areachicago.org. And look out for the printed issue coming this spring. 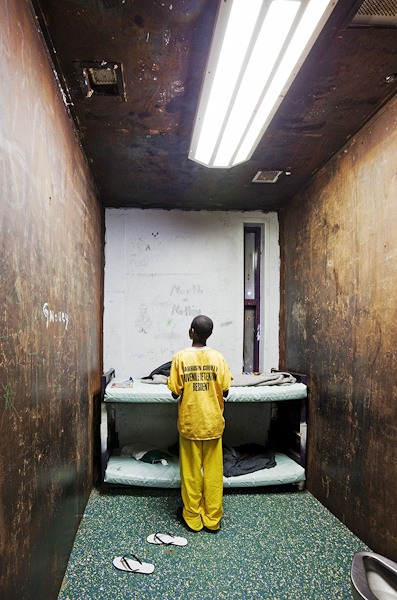 We have a few more posts on this topic of children in Chicago so keep watching! In my quest to become a different kind of educator and to find joy and satisfaction in teaching again, I spent the 2012-2013 school year teaching at the Free School in Albany, NY. Founded in 1969, the Free School is the epitome of a school that really values the voices of students in directing their own learning. Without grades or required classes, each student at the Free School pursues an individualized course of learning based on their own interests and following their own trajectory of development. Students take ownership of their learning and can request classes and activities on the subjects and topics they are most excited about. Learning math, for example, can take the form of a small-group class, an independent study guided by a teacher, an impromptu lesson in fractions while doubling a cake recipe in the kitchen, or a group of peers getting together to practice arithmetic. As we work to build the Chicago Free School, a democratic school where the curriculum is driven by students’ choices and interests, we speak frequently to parents who are frustrated that their children are unhappy in school. From a child in a gifted kindergarten who felt anxious because he was “behind” his peers in reading, to a girl whose creative pursuits in the humanities were finding less space as her middle-school curriculum became increasingly rigid, to an energetic boy bursting with questions who didn’t seem to quite fit the mold of traditional school, these bright, curious kids need a voice in school – they need a school experience suited to their unique strengths and passions, a place where their intrinsic motivation is celebrated rather than being seen as a disruption to the schedule. 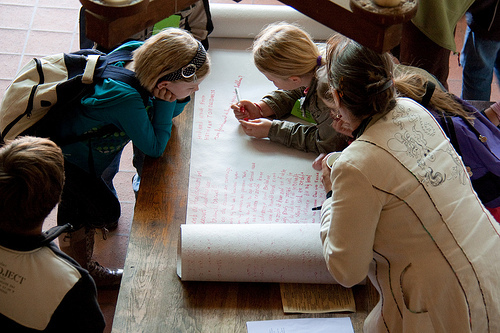 How do we capture the voices of children? In their forthcoming edition, Issue #14 Kids!, AREA Chicago looks at what it means to grow up as a child in Chicago. Contributors to this issue will discuss how we write about children and with them. What roles are cast for children –as others, counterparts, recipients, or ingénues—by differing approaches to capturing their voices? How do the ways that we write children reflect, propel, or resist broader societal understandings of what childhood is, and of who is considered a child? Book Sale! Book Sale! Book Sale! Friends of Blackstone Public Library · A blog for the Friends of the Blackstone branch library.